Are you seeking for answers on how best to manage your iCloud storage plans? If your answer is yes, then you should know that you are not alone. Many iCloud users are reaching out to upgrade, downgrade or cancel their iCloud storage plans on daily basis. 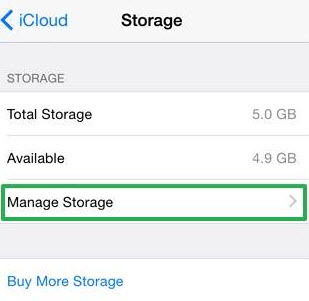 Read on to get tips on how to manage your iCloud storage plans. 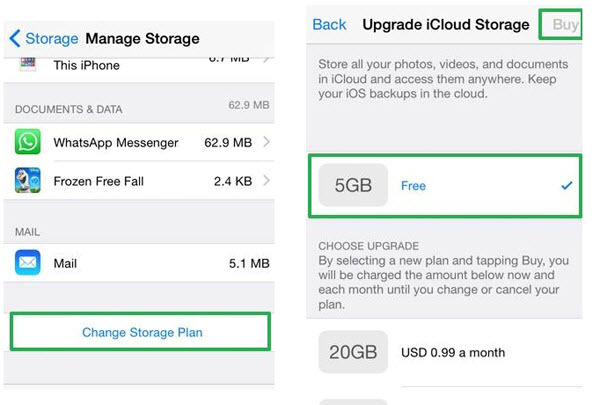 You can increase your iCloud automatic 5GB storage space to 50GB storage space for $0.99 per month by following these steps. Step 3. Choose a new plan, click on Buy, then enter your Apple ID password. 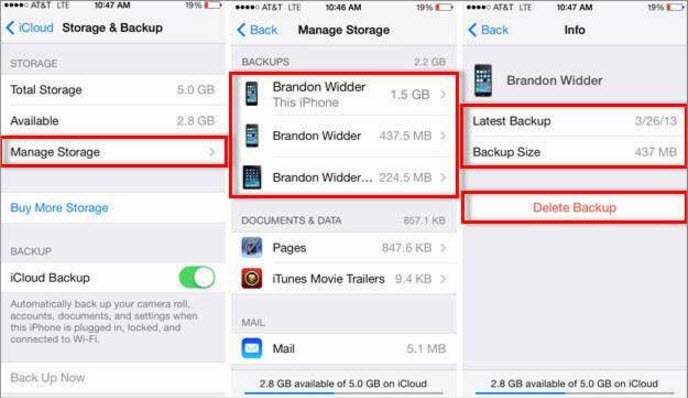 On the other hand, if you want to decrease your iCloud storage plan, you should follow these steps. Step 4. Select the plan you like, and click on Done. If you would like to cancel your iCloud storage plan and get your money back, here is what to do! 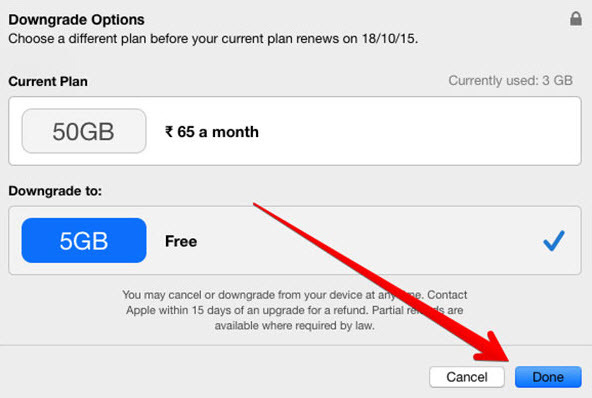 Below are the steps with which you can use to cancel iCloud storage plan on your iPad Touch, iPhone, or iPod. Step 4. Click on Free option and proceed to the top of the page to click on Buy. Step 5. 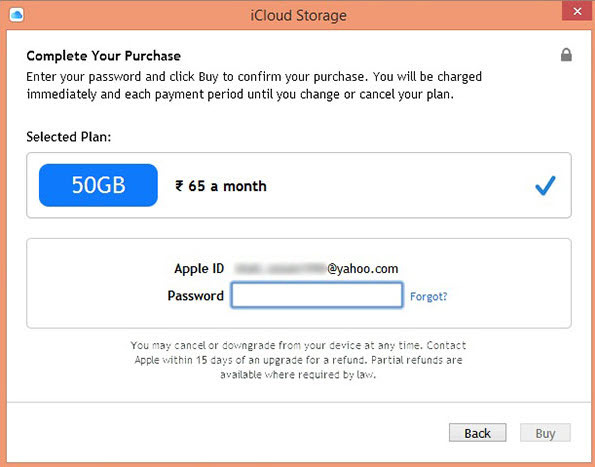 Enter your Apple ID Password to complete iCloud storage plan cancellation. Below are the right steps on how to cancel iCloud storage plan on Macintosh. Step 5. Tap on Manage > Free option > Done to cancel. If you wish to cancel your iCloud storage plan on a Windows PC, here are the steps to follow. Step 3. Tap on Manage > Free option > Done to cancel. When you cancel, or downgrade your iCloud storage subscription or plan, you should be certain on how to manage he following after the cancellation or downgrade. Photos: If you have more photos than the iCloud storage space you are downgrading to – which I guess you do, your photos may get lost while downgrading your account. This is because, no one will give you the leverage to select the photos that stays and the ones that gets deleted. Your other files such as Calendar, Notes, Reminder, Mail, Videos, Music, apps, etc. can also get lost in the process of downgrading or cancelling your iCloud subscription/storage plan. iCloud storage plans can be managed in different ways. Here are some of the relevant ways to optimally manage iCloud storage. If you want to know how to delete data from iCloud storage, then follow these steps. Step 4. Then remove any file that you don’t want to back up by clicking on Turn Off & Delete. Your iCloud email account may be the culprit that is eating up your iCloud storage. 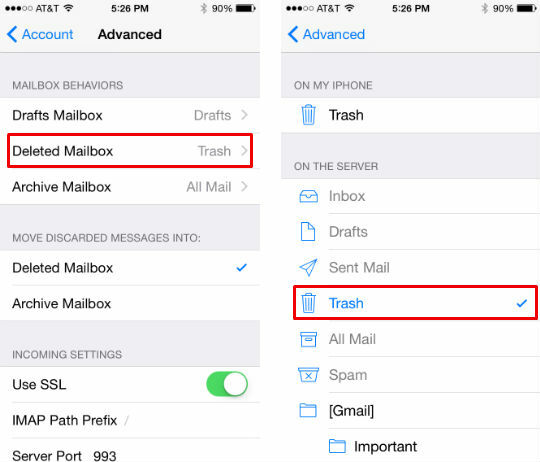 The steps below can help you to delete mail message in iCloud. Step 1. Go to your mail app and launch it. Step 2. Swipe messages you want to delete to the left. Step 4. Click on Delete All to wipe all your trashed message at once. At the end of this process, the messages you deleted from your mail box will also be deleted from your iCloud account. 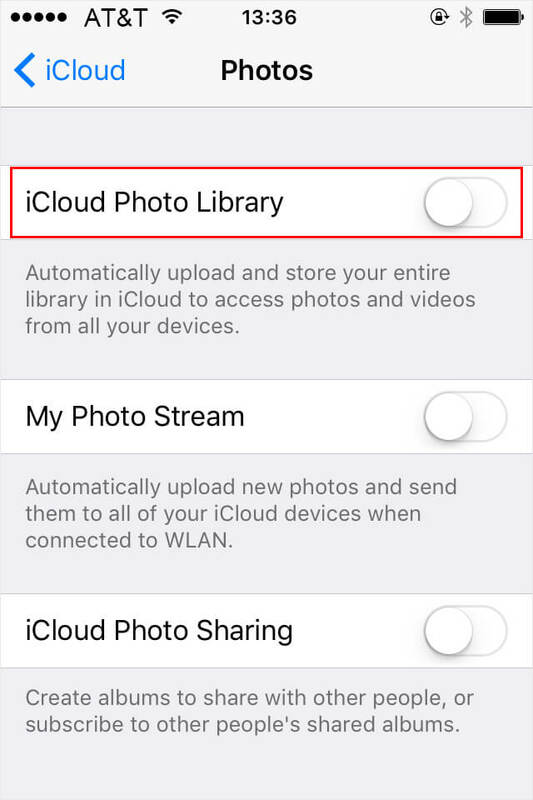 iCloud Photo Library functions to keep your files up to date across all your iDevices via iCloud account. You can manage your iCloud storage space by deleting videos, albums and photos that you no longer need from any of your iDevices. Here is how to get that done! 1. Launch the Photo App > Click on Photo at the bottom of the screen. 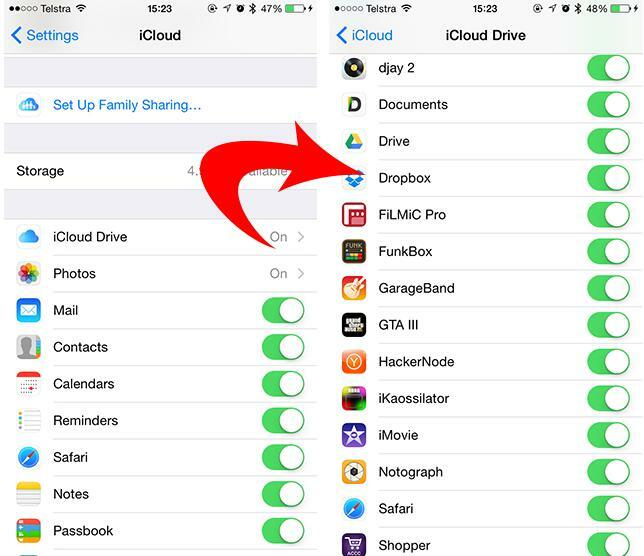 You can easily manage the files you store on iCloud Drive using these steps. 1. Go to Settings > (Name) > iCloud > iCloud Storage > Manage Storage > Documents & Data > Other Documents. 2. Swipe files to the left to delete them. 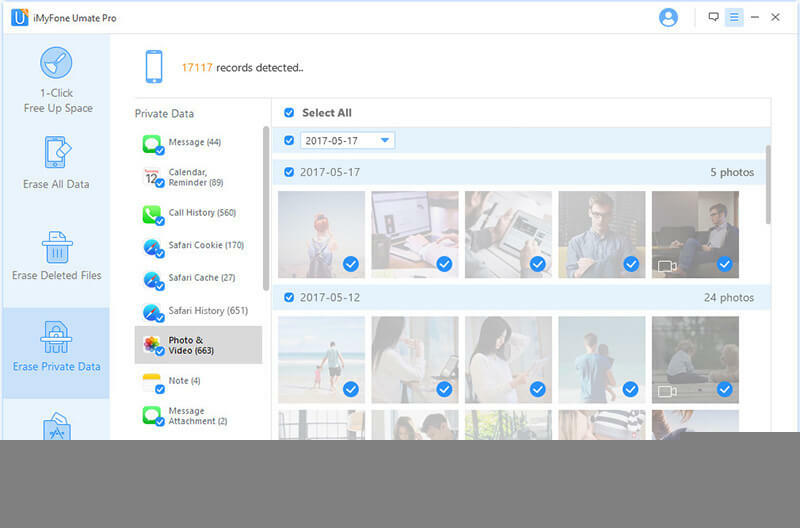 How to get rid of iCloud storage or delete iCloud account can only be summarized using iMyFone Umate Pro or iMyFone Umate Pro for Mac. If you need best of the best tools for data erasure especially iCloud data and storage, then downloading, installing and utilizing Umate Pro is the best way to go about it. 1. Permanently erase iOS data to render them 100% unrecoverable. 2. Erase hidden iOS caches, temp files, corrupted files to free up iPhone. 3. 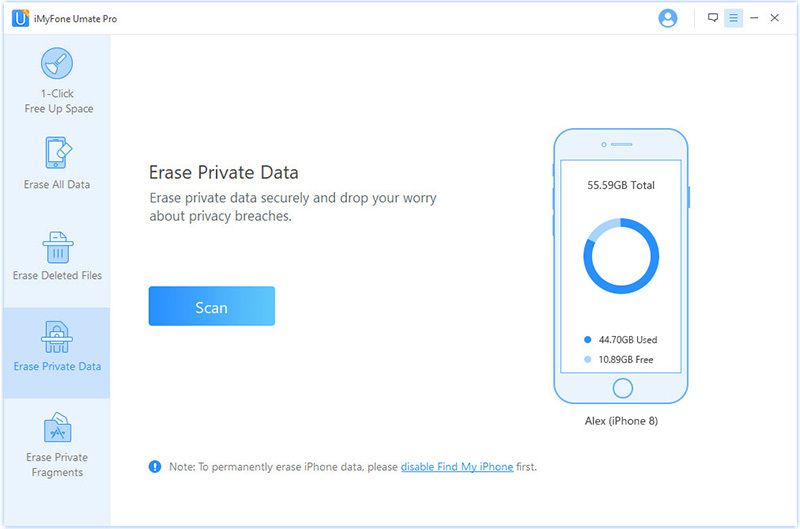 Erase deleted iOS files to speed avoid privacy leak. 4. Erase WhatsApp/WeChat messages and attachments. 5. Wipe iCloud account without password. 6. Highly spoken of by hundreds of users and well-known media. Step 1. 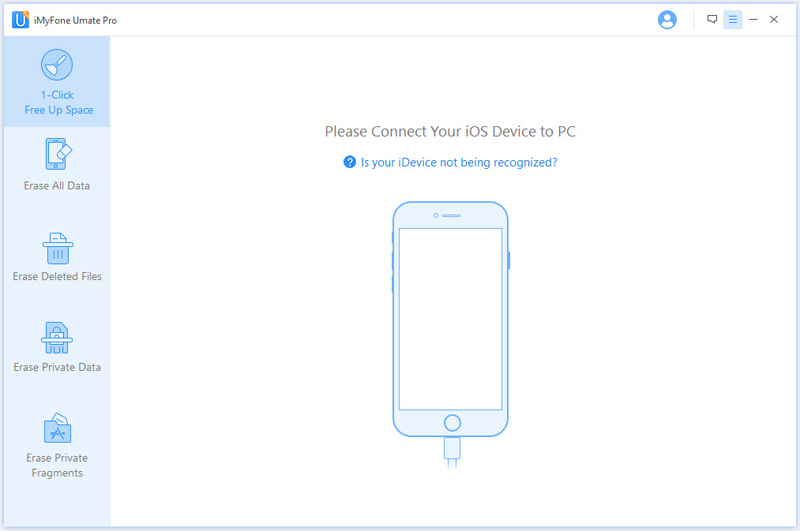 After installing Umate Pro on your Mac or PC, launch the program and connect your iDevice to your PC. Step 2. Choose Erase Private Data as your erasure mode. Step 3. Click on Scan. Step 4. After scan, a list of your private data including iCloud storage data will be displayed, preview and select the files you will like to delete. Step 5. Click on Erase Now button, then manually type delete into the box to confirm your request. Step 6. Reconfirm your action by clicking on Erase Now again. This would complete the process. Step 7. Sync the new iPhone data to iCloud, and delete old iCloud backups. It is pertinent to mention that Umate has the capacity to erase all kinds of iOS data even hidden contents. So, endeavor to utilize this tool in keeping your iDevice safe and run on the optimal capacity.